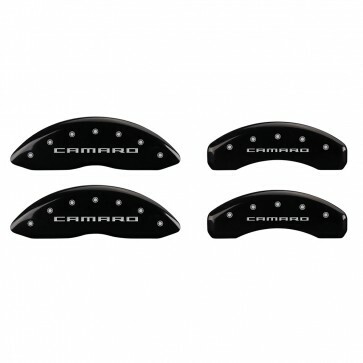 Polish up those wheels while reducing brake dust, with a set of 4 caliper covers. 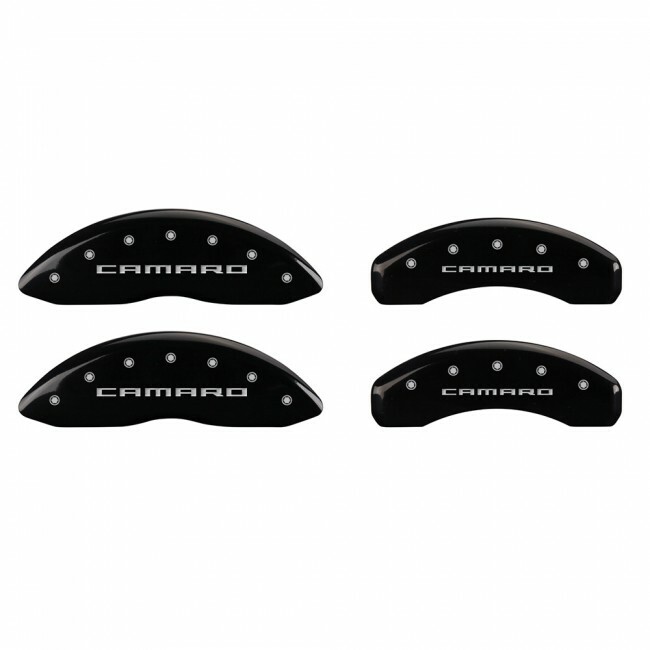 Engraved with ‘CAMARO,’ front and rear. 18” wheel minimum. Powder coat finish w/silver characters – available in red, black or matte black. RETURN POLICY: May be returned, in resaleable condition, within 30 days from date of order with an RMA (Return Merchandise Authorization). A standard 15% re-stocking fee will be deducted from the refund amount. The customer is responsible for all shipping charges. DAMAGED IN SHIPPING: Damaged items must be reported within 24 hours of delivery.